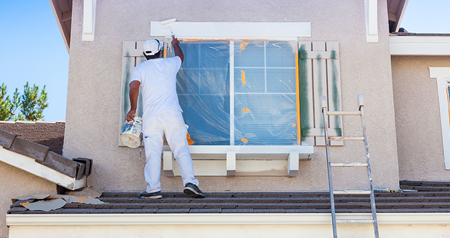 At Particular Painting, we have the experience and know how to turn your exterior painting project into a reality. Our exterior painting professional will transform the exterior of your home or office on time and within budget. We’ll take the time to clean and prepare the surface of your home to ensure the best paint adhesion. Actually, we often spend more time preparing to paint than actually painting – this is critical to long lasting paint jobs! We’ll work side-by-side with you to choose the proper colors and corresponding finishes to ensure your home turns out the way you envision. Also, we can work within your budget and help ensure that your color selections fit the architectural style of your home. When you’re ready to experience Painting Done Right.